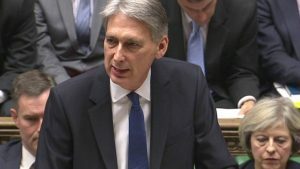 Philip Hammond’s first Autumn Statement didn’t contain much in the way of major news regarding tax or pensions changes, which gives clarity when planning for the tax year-end and 2017 as a whole. There was welcome news that pension tax relief will remain untouched, and it would appear that the Government feels that now is still not the time for a major pensions shake up, although cold calling offering exotic investment opportunities to people cashing in their pension pots will be banned. To encourage younger savers, a new savings bonds was introduced, with an interest rate expected to be set at about 2.2%. The bond will be open to those aged 16 and over, subject to a minimum investment limit of £100 and a maximum investment limit of £3,000. Savers must keep their money invested for three years. Other headline items in the Statement include – the National Living Wage will rise from £7.20 to £7.50 in April; Lettings Agents will be banned from charging upfront fees to tenants, a commitment to increase home building to address the ‘out of reach’ housing problem and a continued freeze on fuel duty. This will be the last Autumn Statement. In future the Budget Day will switch from spring to autumn, with a toned down statement on the economy delivered each March. This will give welcome breathing space between the announcement of budget changes and their introduction. If you would like to speak to The Financial Planning Group about how any of today’s news could affect you or your investment strategy, please call Tim Norris or Alan Clifton on 0800 731 7614 and we would be delighted to arrange a meeting at our offices in the heart of Teddington.